Our doors are provided in Hardwood, Hard Pine, Composite or PVCu. Available for supply and installation or supply only. All work that we supply and fit has a comprehensive 10 year warranty. 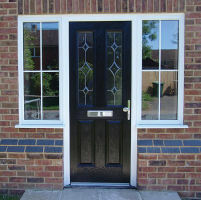 Whether its front doors or French doors, we stock a wide range to choose from. Doors to individual sizes and designs as required are available on a "supply only" basis to builders and/or D.I.Y enthusiasts. Site visits by an expert can be arranged to offer technical advice and confirm measurements if required. 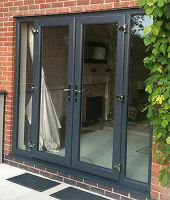 Please call us on 01494 565526 alternatively contact Payne's of Glass here. We will come out and survey your property to give you an individual and exact quote first time. Installation is provided by highly qualified installers. We pride our self on leaving your premises as clean as we found it and try to ensure all work is carried out to schedule thus creating minimum disruption for you our customers. All installations come with a comprehensive, insurance backed 10 year warranty os we leave you in complete confidence and with peace of mind.